It is a festival for Inari (a god of harvest) of Arikoyama Mountain. a good harvest to come. 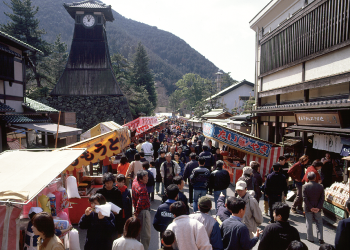 Over three hundred street stalls are open, with about fifty thousand visitors coming to this festival every year. 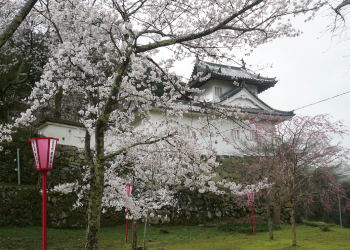 You can see pretty cherry blossoms and enjoy some entertainments like a Soba (buckwheat noodles) eating party and other events. Plate soba (buckwheat noodles on small plates) is the noted product made in Izushi. 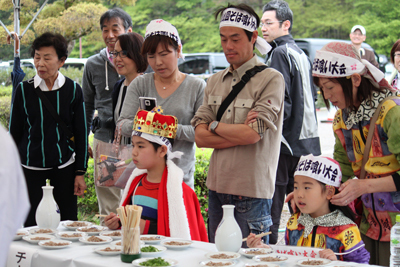 A lot of people, Men, women, children and elderlies compete how many plate-soba they can eat. Some people eat over eighty plates! Let’s join the festival. We will be announcing how to enter this event by Izushi-cho News. A long time ago, this area was sunk in muddy water, but succeed in the land reclamations. A parade was performed to celebrate for this good job done. 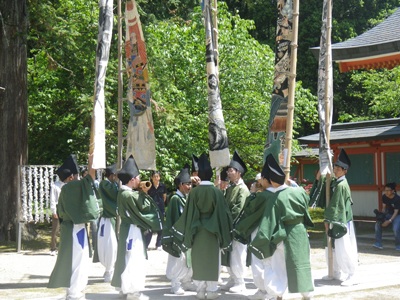 boys dressed in traditional costumes, turning painted Nobori (Flags) around to music played by bamboo flutes.